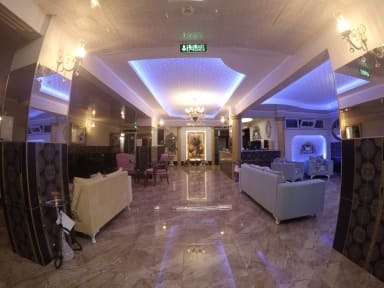 Exporoyal Hotel is a city hotel that combines comfort with real service quality, we offer 24-hour front desk at the property, restaurante, barbecue area and and amazing terrace and free private parking is available on site. 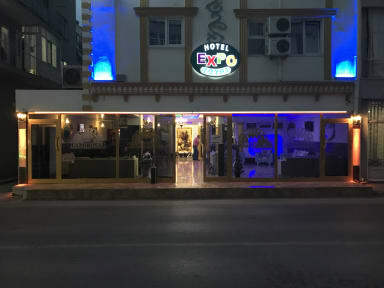 Hotel Exporoyal enjoys quiet and peaceful location, allowing you to be included in the lively life of the port and city center. We have Family, Double, Single rooms with flat-screen tv available at our hotel. Un peu compliqué a trouver. Sortir a l'arrêt de tramway avant Muratpasa en venant de la gare routière.